Chirag joined Watsi on May 15th, 2014. 11 other people also joined Watsi on that day! Chirag's most recent donation traveled 8,300 miles to support Thi, a woman from Burma, to fund heart surgery. Chirag has funded healthcare for 15 patients in 7 countries. Chit Sandar is 21 months old and lives with her older brother, mother, and grandparents in a village in Burma. Her father works in Bangkok to support the family. 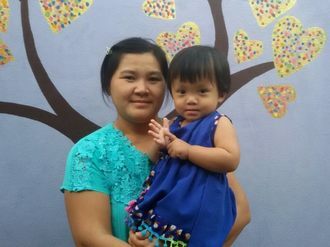 At six months of age, Chit Sandar became sick with a fever. She was brought to the hospital, where she was diagnosed with hydrocephalus, a condition in which excess cerebrospinal fluid accumulates in the brain. Although Chit Sandar is eating well, she has experienced loss of consciousness, fatigue, and sunken eyes. She was referred to our medical partner, Burma Children Medical Fund (BCMF). On February 14, doctors will perform a shunt insertion surgery to drain the fluid from her brain. Chit Sandar's parents cannot afford treatment, so BCMF is requesting $1,500 to help fund this procedure. Anderson is eleven months old and has malnutrition. He lives with his family in rural Guatemala. He likes to eat papaya and play cars and is learning to stand up on his own. In the short term, malnutrition means Anderson has little energy to grow and that his immune system is weak. If Anderson does not receive treatment, he will also face malnutrition’s long-term consequences, such as increased risk of chronic diseases, low IQ, and higher likelihood of dropping out of school. While malnutrition can have devastating effects, it is also very treatable. Growth monitoring, micronutrients and food supplementation will help Anderson recover. He will begin treatment on February 16. While Anderson’s mother cares deeply for her son and is eager to keep learning about nutrition, she cannot afford Anderson's care. Our medical partner, Wuqu' Kawoq, is requesting $437 to fund his treatment. During treatment, Anderson will gain weight and grow taller to catch up with other children his age, and his immune system will grow stronger with the increased caloric intake. Youbendjy is a four-month-old baby who lives in a neighborhood in Port-au-Prince with his mother, father, and older sister. Neither parent is employed full-time, but both of them work as day laborers when they can. Youbendjy was born with a cardiac condition called total anomalous pulmonary vein return, in which the pulmonary veins connect to the right atrium of the heart. Typically, these veins should connect to the left atrium. This condition deprives his body of oxygen and leads to heart failure. Youbendjy will undergo a surgery in which the veins are disconnected from the heart and reconnected in the appropriate location. First, he will undergo a full cardiac assessment on February 9. This assessment will include physical exams, labs, and an overnight stay at the hospital. Our medical partner, Haiti Cardiac Alliance, is requesting $1,500 to fund these procedures. Funding for Youbendjy also covers the cost of medications and social support for him and his family. Gift of Life International is contributing $7,000 to cover additional costs associated with Youbendjy's surgical care. "I thought from the time my baby was born that we would lose him," says his mother. "It is like a dream for me that we have a chance for surgery." Nine-month-old Yonathan has been losing weight and not growing taller for the past couple of months. This is because he is malnourished, and is not getting the calories, protein, and nutrients he needs to grow. His mother is worried that he is not growing, and has noticed that his appetite has decreased. His energy level has been lower than normal, and he hasn't wanted to play as much as he used to. In the long term, he could face risks such as decreased IQ, chronic diseases, and subsequent low earning potential if he does not receive treatment. Yonathan lives with his family in a one-room adobe house in Guatemala. If this story sounds familiar it is because Yonathan's twin brother, Kenneth, is also a Watsi patient dealing with malnutrition. His father works as a day laborer, harvesting crops such as corn, beans, and squash. 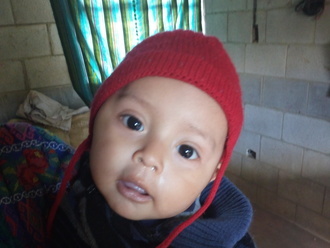 His mother works at home taking care of Yonathan and his brother. Together they live on about two dollars per day, making it impossible to afford fruits, vegetables, and eggs for Yonathan and Kenneth. 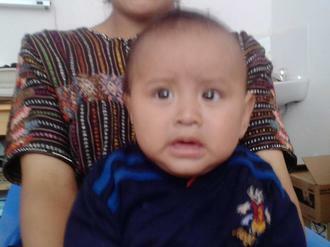 However, for $512 treatment will be possible for Yonathan. Growth monitoring, micronutrients and food supplementation will help Yonathan recover from malnutrition--saving his life now and putting him on track to live a better life in the future. He will gain weight and grow taller to catch up with other children his age. His immune system will grow stronger with the increased caloric intake, preventing him from having any life-threatening situations with diarrhea and fevers. This will further increase his appetite and help him use the extra calories to develop mentally instead of those calories being wasted on getting over frequent illnesses. His parents will receive the support they need to feel empowered to give Yonathan the diet he needs to grow and develop healthily. Intervention now will prevent the future devastating effects of malnutrition, and give Yonathan the chance to live a healthy and productive life, finish school, get a good job, and escape the cycle of malnutrition and poverty that made him sick in the first place. 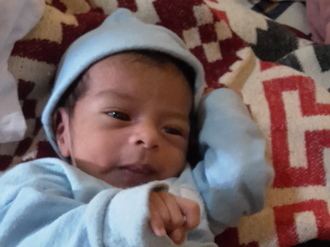 "I am worried because my son is not eating like he should," explains Yonathan's mother. "I am interested to know what I have to give him to improve his diet." 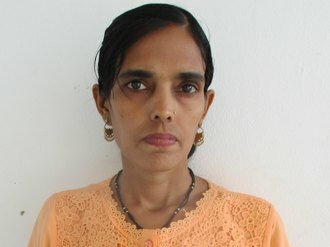 Yath is married with five daughters and ten grandchildren. She is 73 years old and works as a rice farmer. One year ago, Yath developed a cataract in each eye. Cataracts are common among the elderly as they occur due to age-related changes in the eye. The cataracts cause her blurred vision, tearing, irritation, and cloudy lenses. She can't see anyone clearly or go outside by herself, which affects her work as a farmer. Yath traveled three hours with her sister to reach Watsi's medical partner, Children's Surgical Centre (CSC), for treatment, which will cost $225. After a phaco procedure and an intraocular lens (IOL) implant in each eye, Yath will be able to see clearly again. The phaco procedure will remove the cloudy lenses, replacing them with the clear, IOL implants. When Yath is not working, she enjoys visiting the pagoda to listen to the monks pray, as well as listening to them pray on the radio. "I hope I can help my family do work on the farm and take care of my grandchildren," Yath tells us, explaining her hopes for after the surgery. 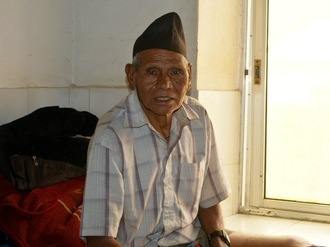 66-year-old Sher lives with his wife, daughter-in-laws and grandchildren in Nepal. They all tend to the farm to keep the family going while Sher's two sons work in India to support them back at home. Sher was milking his cows when he stumbled and fell down-- fracturing his left ankle. It has been five days since the injury, and Sher has been bedridden and in a lot of pain. "I am taking medication to control my pain," said Sher. However, pain medication is only a temporary solution, and Sher requires surgery to avoid long-term complications such as immobility and infection. Sher's inability to work is a very big concern for his family. Being the eldest of his siblings, Sher looks after the family's cattle as well as his young grandchildren. He needs surgery so that he can return to these responsibilities back home. For $579, surgeons with our medical partner Possible will perform an open reduction and internal fixation (ORIF) procedure to correctly realign the bone in Sher's ankle. Then they will use pins to keep it secured while his ankle heals. After several weeks in a cast or splint, Sher will be able to walk again pain free. He can then return to his farm and family life. "I just want to be free of pain," Sher said. Meet Ry, a 61-year-old man from Cambodia. “Ry is married with 4 sons, 4 daughters, and 10 grandchildren. He enjoys listening to social news on the radio and planting fruits around his home," shares our medical partner, Children's Surgical Centre (CSC). One year ago, Ry developed a pterygium in each eye. A pterygium occurs when growth starts on the clear tissue of the eye and spreads to the cornea. "This causes him to have blurred vision and experience tearing, irritation, and burning," CSC explains. After learning about CSC, Ry and his son sister travelled three hours to visit their clinic. They learned that a simple surgical procedure may restore Ry’s sight. With $150, Ry will undergo an excision surgery, and his cyst will be removed. “The burning, pain, and irritation will be relieved. His eyes will look much better after the operation. The redness and tearing will also stop,” CSC explains. "Joshua was not lucky to go to school. He herds his father’s cattle in Tanzania, but now it is getting difficult to walk long distance due to knocked knees," a condition known as genu valgus. Joshua is now 17 years old and our medical partner, African Mission Healthcare Foundation (AMHF), tells us that, "the condition has affected his gait and ability to run fast. He sometimes complains of pain on the knees." Joshua likes to play football with the friends in his village even though running is difficult for him. Although AMHF shares, "his father has been working hard and he is now a driver earning a little more aside from livestock keeping," it is difficult for him to support his large family of three wives and many children. Joshua is the fourth of his mother's five children and his parents cannot afford the cost of his surgery. Without it, however, Joshua is at risk of developing early osteoarthritis. With $940, Joshua will undergo surgery to have his bones reset so that his knees to do not hit when he walks or runs. This operation will mean that he is not in pain when he is tending to his family's cattle, and means that he will have an easier time playing soccer if he one day goes to school with his friends, as he wishes.